Starting June 12 the Football/Soccer World Cup tournament will be held in Brazil (unfortunately the Dutch have to start against the reigning champions). 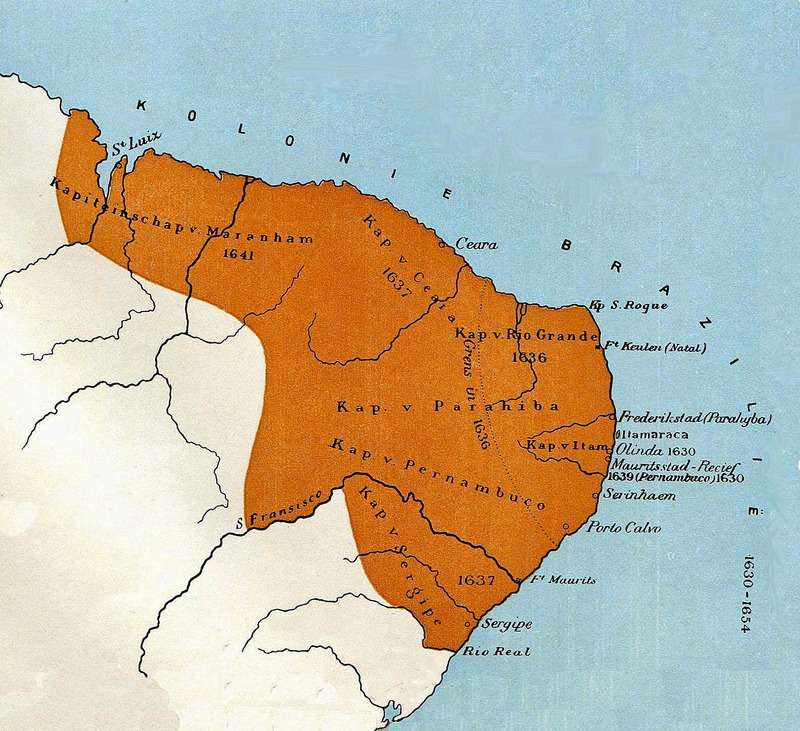 Today nearly everybody speaks Portuguese in Brazil, but once Brazil used to be Dutch (between 1624 and 1654). Mauritsstad (named after the Governor Johan Maurits) was the capital of Dutch Brazil, and is now a part of the Brazilian city of Recife. It was a cultural center of the New World, with the first botanical garden and the first zoo in America, and the first synagogue in the Americas. After the surrender to the catholique Portuguese the Jews had to leave Brazil, they fled to New Amsterdam (present day New York) to found the first synagogue in North-America over there. 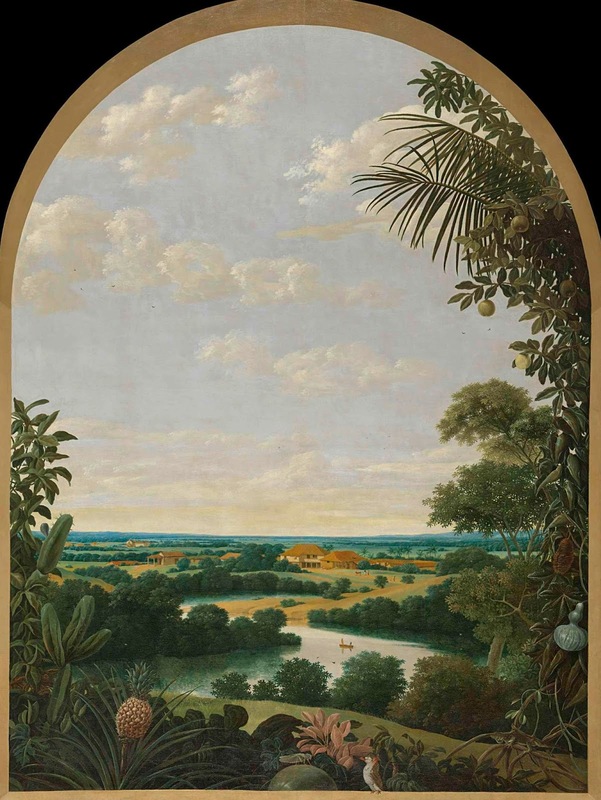 Brazilian Landscape by Frans Jansz. Post, 1652 (Rijksmuseum). A sugar plantation can be seen in the distance. The artist spent seven years in Brazil in the entourage of Johan Maurits, who commissioned Post to record the country and its inhabitants. That’s a very fine painting - he was obviously keen to record the clouds! Funny... those were my thoughts exactly, Little Nell. 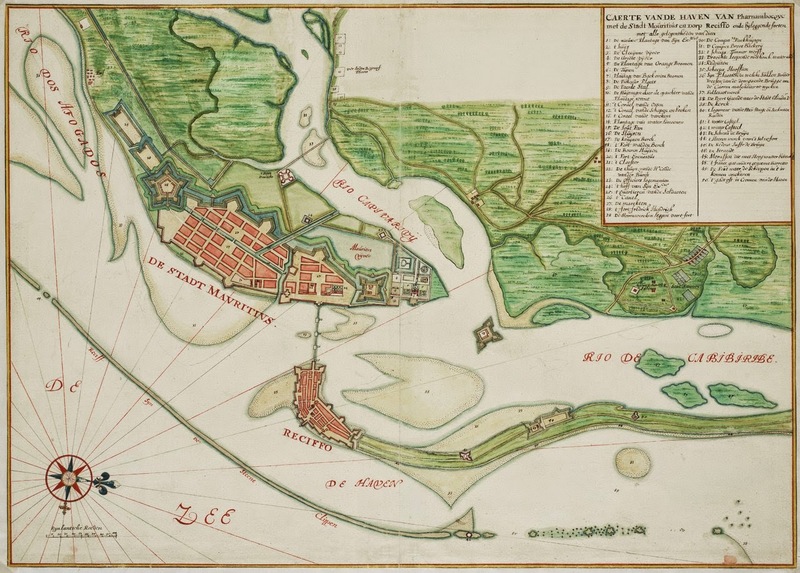 I will say the aerial view of Mauritsstad brings to mind a similar drawing I have seen somewhere around here depicting Amersfoort. I cannot help but wonder if anything remains of those walls? No, I don't think anything remains from the city walls. There are still a few Dutch forts which can be visited though. I remember seeing the Brazilian landscape painting in the Rijksmuseum. The museum holds many reminders of Holland's colonial past.